Whispering wind, wildlife choruses and rustling leaves underfoot in Paint Lick, Kentucky provide a refreshing retreat in the scenic foothill outcroppings of the Appalachia among 30 acres of the Commonwealth's native woodlands and natural grasslands. Sit pond-side watching the interplay of dragonflies skimming across the water, take an invigorating hike through forested terrain, or gaze heavenward into the star-filled night skies. On cold winter evenings, snuggle hearthside with a hot cup of peppermint cocoa and warm molasses cookies; or relax on the wrap-around deck to catch the cool valley breezes during warmer months. Wake up to freshly brewed coffee and herbal teas, warm raspberry compote, pumpkin-pecan pancakes, fresh eggs, and spiced apples. Dinners are also available by reservation. Payment Types Accepted Include Personal Checks, Master Card, Travelers Checks, Discover, American Express, Visa, Cash and Gift Certificates. This property has 4 total guest accommodations, 3 with private bath, 1 with whirlpool, 2 total suites, including 1 two-bedroom suite. The types of beds available include Double, Twin, Queen and King. Halcomb's Knob is an active working farm, therefore all pets are strictly prohibited. Our farm is routinely is a host site for livestock animals, and is home to our personal pets - an outdoor cat and an indoor/outdoor Australian cattle dog. Fall asleep under a sky full of stars and wake up to a table full of healthy farm-fresh fare. Roam vibrant wildflower meadows, walk amidst towering century oaks, or even lend a helping hand on the farm. The perennial and vegetable gardens intertwine with the native flora of the Inn's property. Blueberry bushes, fruit-bearing apple, pear, peach and plum trees and newly seeded hazelnut trees border the perennial beds. Children, over the age of 16 are welcome, but must be accompanied by an adult of at least 21 years of age. Small inns are greatly affected by cancellations. Others are turned away when you agree to book your room(s). Therefore, we have established a fair payment policy. Should you cancel outside of 14 days prior to arrival, your deposit will be refunded, less a $35/room/night Administration/Re-booking Fee. Should you cancel 14 days or less of your scheduled arrival date (30 days for groups involving more than 1 guest room), your entire deposit will be forfeited unless we can re-book your room so it does not result in a loss of business. NOTE CANCELLATION POLICY ALSO APPLIES TO GIFT CERTIFICATES. The stories told of the reclusive original land owner, the occasional hauntings experienced by guests, and the battles in history fought within 6 miles of the Inn. The dates this property will honor the certificate are December 1 - March 29, Sunday - Thursday only. Save 5% on Esther's Room and 10% on either Robert Donald's Suite or the Sisters Suite with our Direct Booking Discount, or book all three rooms (Esther's Room, Robert Donald's Suite & the Sisters Suite) and receive a 20% Discount! Reduction varies by room and date, and bookings are non-changeable, non-cancellable and non-refundable. Third party gift certificates may not be used for payment. Valid from 04/14/2019 through 10/31/2021. Sleep in a deluxe suite, king bed, luxury bath, complimentary three course breakfast, beverages, snacks and sweet treat. Dine Out at one of the nine locally -owned eateries within 7 miles of the Knob. Nightly rates are discounted up to 15% when reserved within 48 hours of arrival. Start earning your rewards with each visit to Halcomb's Kob B&B! This program is effective beginning April 2019 and doesn’t apply to visits prior to that date. Each time your accumulated total expenditures at Halcomb's Knob B&B hit $1,000 within a two year period, you’re eligible for a Knob Reward of $50 off your next visit. Valid from 04/14/2019 through 04/14/2021. Business travelers this special is for you! Road warriors, tired of non-descriptive high-carb breakfasts; the classic look and feel of uninviting hotel rooms; and interrupted sleep by noisy “neighbors”. 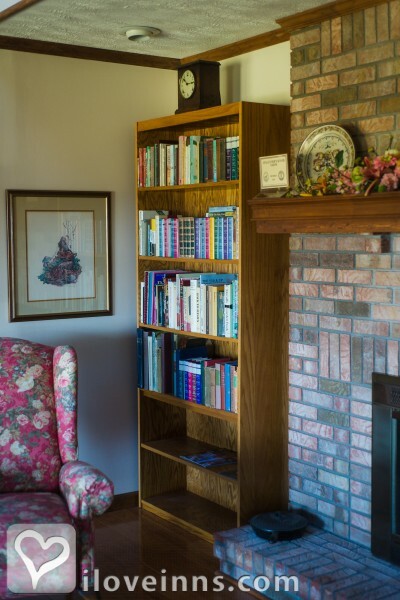 Make the break from routine, and immerse yourself in the quiet comfort of a home-away-from-home; take delight in freshly prepared meals focused on your dietary tastes; and where your “neighbors” will be the sounds and sights of nature for $99 per night, Sunday through Thursday. Valid from 04/14/2019 through 10/31/2019. We had a lovely "get-away". Thank you for the amazing baked goods and breakfasts, not to mention the sunsets each evening. We will tell our friends near and far about Halcomb's Knob! It was exactly what the doctor ordered. The house was immaculate and the services 5 star. Deborah and Jim make the stay all the more pleasant. The breakfast was good enough to make your tongue beat your brains out trying to get at it. My wife and I plan to make a yearly visit. We arrived as guests but left as friends. Thank you so much, Deborah and Jim. My husband and I stayed at Halcombs Knob B&B in May for our anniversary! Everything was wonderful! They made us feel right at home and our room was amazing! When we arrived there were hot cookies and beverages waiting. We had a door in the room that led straight out onto the covered porch. It was so nice to sit out there and relax! 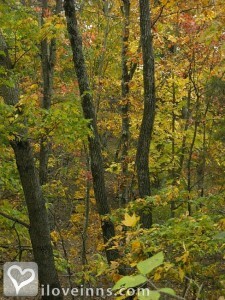 The property was beautiful and we really enjoyed the nice walking trail through the woods. The breakfast was more than amazing. Everything is made from scratch and was delicious. The owners made excellent suggestions on places to visit in Berea which made our time in the area even better! We loved Halcombs Knob and only wish we were closer so we could enjoy their baked goods more often! Wonderful experience! The owners were welcoming and as personable as you could ever want. Rooms were spotless and constantly filled with the aroma of homemade pastries baking in the oven. Truly it was home away from home. Going back! We stayed at this KY bed and breakfast last night and loved it! The sheets are the most comfortable sheets I have ever slept in. Multiple pillow firmness choices! A view from the wrap around porch that can’t be beat. And the Innkeepers were fantastic. Super clean & friendly. We will be back! This was an amazing and beautiful place!!!! I am so happy I got to have my wedding here!!! Plus if you stay at the Inn, the owner spoils you!!! Especially brides!!! 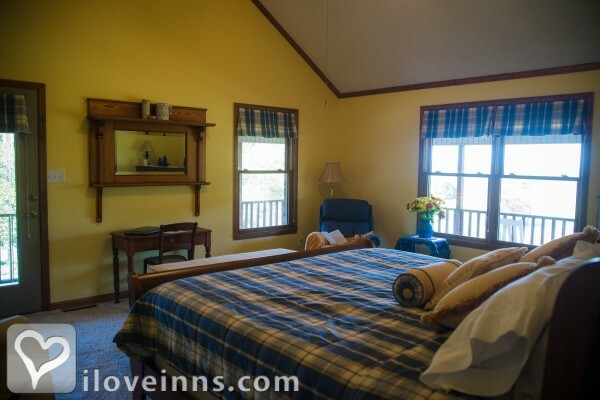 Innkeepers, Deborah and Jim are super sweet and amazing people!!! 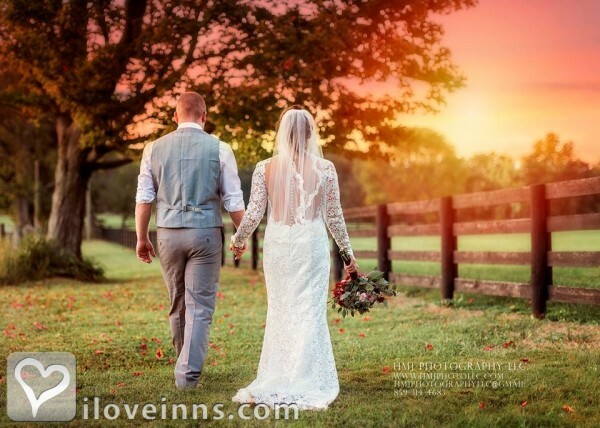 :) If you want a cute and inexpensive place to have your wedding and reception, and even just staying at the Inn for couple nights for a special occasion, I highly highly recommend Halcomb’s Knob LLC!!! 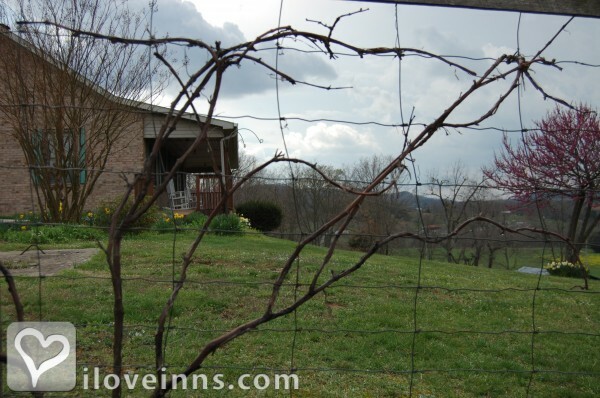 Deborah & husband,Jim are quite the innkeepers of this lovely newer home set on a "knob" (big hill, little mountain - take your pick) just minutes from Berea and the foothills of Appalachia. My stay was in the nicely furnished single bed room on a balcony, with full use of a kitchenette on that level, as well as the comfy, homey living room downstairs, complete with picture windows and a porch to enjoy the view. Took a great walk on secluded country roads. Deborah is a wonderful cook, baker, and just plain interesting person with whom to chat. Clean as a whistle, too! When in this area of lovely Kentucky, no where else would be worth the, "attention to details" place to stay. This has been our second (return) stay here and this time for 2 nights. Gracious and extremely thoughtful to guest's every need. We have traveled to many B & B's around Kentucky in just the last year and Halcomb's Knob is our favorite. We will be back whenever visiting the central Kentucky area. Beautiful place, and really quiet. I am so happy we choose to stay at Halcomb's Knob B&BB instead of a hotel. We were very spoiled. Without question, this has been our best lodging experience EVER!! Not only was the room and property wonderful and the food amazing, but we were uplifted and inspired by our hostess. She is an extraordinary hostess and person, and her hospitality, generosity and passion for life are unequaled. We were truly blessed to have the privilege of sharing a weekend in her Inn and company.We look forward to many return visits. Thank you very much for a lovely stop o a long journey! It was wonderful to arrive to a welcoming glass of lemonade on the front porch, a lovely sunset and a peaceful bed. So lovely to drive through the Bluegrass hills of Kentucky to such a beautiful Inn. I had a great sleep and awoke to the smells and tastes of a scrumptious breakfast. Such a beautiful spot! Thank you so much for the kindness and hospitality. Amazing food, wonderful atmosphere, and lovely conversations. Can't wait to come back. What a beautiful spot! Halcomb's Knob will always be remembered as the first stop on my only son's college tour. The first place in the folder which I am sure will become very thick. The breakfast was superb and such a comfy bed. Thank you for the Kentucky hospitality. Had a great first time in a Bed and Breakfast! It was a good experience, one which I will repeat i my travels. Thanks so much for the service of a lovely "Red Hat" luncheon and tour of the property at Halcomb's Knob! the meal was outstanding and the view deck-side was picturesque. God's blessings to you as your live out His purpose for your life. Where do I begin? Your attention to detail amazed me. You are a lady after my own heart. Obviously, we thoroughly enjoyed our overnight at your beautiful property, from Annie's greeting to the sunset and peacefulness. You are always welcome to or home in St. Croix. You are a treasure and a credit to your industry's hospitality. Thank you for opening your beautiful B&B to me. Your wonderful nurturing qualities helped me to relax and enhance my ability to nurture others. Your are a blessing from God - Thank You. Thank you for the good food and wonderful hospitality. Sometimes words are not enough to express one's appreciation for the service you demonstrated. Great! Maravilloso hospitality. We felt to be hope. We enjoyed it! Ah! Food was delicious. Deborah was as wonderful hostess for our entire wedding weekend! We had a peaceful and relaxing day amidst the chaos of wedding prep. She went above and beyond to care for us! Looking forward to returning to celebrate an anniversary. Special thank you to "Annie" - our "5th bridesmaid". Wow! What a wonderful B&B this is! The view, the Inn, the food, the hostess, Annie! Thank you so much for your true southern hospitality. We look forward to telling family and friends all about Halcomb's Knob. May God continue to bless you in all you do. We had a wonderful time staying at Halcomb's Knob B&B. You are a wonderful hostess and we enjoyed our time visiting with you and certainly enjoyed the wonderful breakfasts and afternoon trays of cookies! What a fabulous location within easy access to I-75 yet in the quiet hills of the countryside! We thoroughly enjoyed our time with you. Thank you for a lovely stay. Thank you for a delightful and peaceful stay. What a wondrous setting to write and relax! Deborah, you and your baking are gems! Thank you for a beautiful and relaxing stay, we really enjoyed ourselves and our time away from the hustle and bustle of our lives. And we thoroughly enjoyed your cooking! What a wonderful B&B escape. The colors outside were beautiful and we found the rockers to be perfect place to enjoy them. Our room was excellent, the king size bed was great. And finally, the breakfasts were out of this world. Thanks for your kindness. Wonderful stay. Hostess is informative and friendly and an incredible cook! The property is peaceful and beautiful. Will definitely return. Great place to escape from life's stresses. Wonderful restful 2-day vacation at Halcomb's Knob B&B. Deborah was very friendly and made us feel at home. This is a gorgeous property and a lovely place to stay. 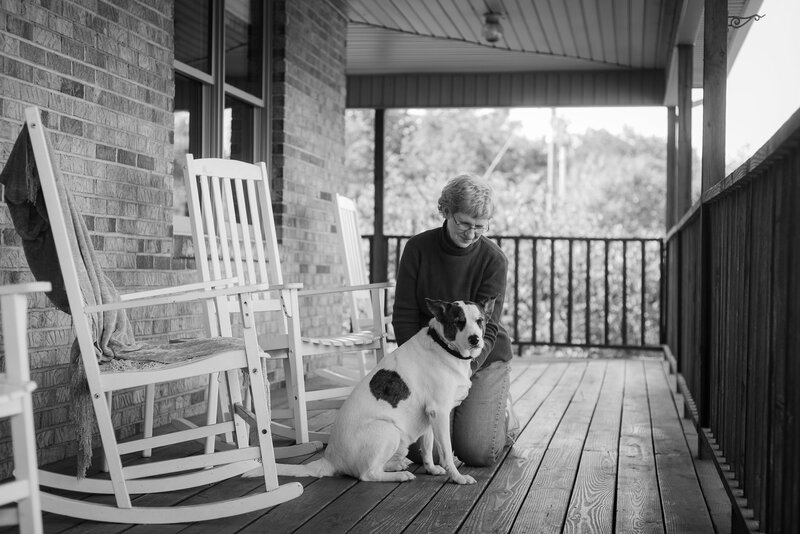 Halcomb's Knob B&B is more than just an Inn, its hostess makes their guests feel like royalty. From the attention to details within the rooms, to the preparation of attractive and tantalizing meals, even with dietary restrictions, to the helpfulness of the Innkeeper when mechanical problems occur, like locking one's keys in one's auto. This B&B stay comes highly recommended! Thoroughly enjoyed our stay! So comfortable with every need met. Thank you for your kind hospitality. you have such a lovely B&B. I will certainly return when in the area. Although the weather was a bit blustery for any outdoors exploration, the array of board games available to guests offered us the opportunity to enjoy a warm fire on the hearth in celebration of our 4-year anniversary and we had a lovely time! Thank you. Wonderful place to stay!! We were on the interstate headed home from a visit with family in OH to TN, when we decided to stay the night near Berea, KY. Opting on a B&B rather than a hotel, we were disappointed when the first two late evening calls were answered by machine, moving down the list of B&Bs, we called Halcomb's Knob. Wow, a live person answered the phone, confirmed a room was available, and gave us detailed directions to guide us into the farm. Even driving on unfamiliar roads after dark, the Knob's directions lead us to the entrance of their Inn without problem. And we were warmly greeted by the owners themselves! After stowing our luggage in the suite, we were invited out to the Gathering Room for fresh from the oven cookies and hot cups of tea/coffee.By the time we left the following morning to continue our trip home, we realized we'd found a gem tucked into the countryside of Kentucky! After 35 years of marriage, my husband and I have stayed in our share of hotels, motels, country inns, and byway cabins; but our Valentine's anniversary celebration this year will live in our memories for the remainder of our lives. From arrival to the five-course fireside supper prepared in celebration, to the well-appointed suite, to the amazing breakfast the following morning, Halcomb's Knob B&B shines bright. Thank you for making our marriage milestone something special! Loved Annie and Patch, and watching their reactions to my doggie massages - lol. Seriously we had a wonderful time. The Inn was very comfortable and relaxing. The food excellent and plentiful. We'll be back! This was our second time and I think it gets better each time. It is such a beautiful location. Our room was so comfortable and homey. And the breakfasts are incredible. Thanks for your hospitality. We look forward to our next visit. After 30 years of staying at B&Bs throughout the United States and even aboard, I feel qualified to give an option of authority. Halcomb's Knob B&B is the "best". Another five may come close, but the rest are far behind. Halcomb's Knob has earned and deserves a "five star" rating. Congratulations. You made our 43rd anniversary an extra special event! The food was outstanding. Thanks for all the recipes, I will definitely try them on our family. Thank you for providing the perfect place to relax rest and refresh during our spring break. The food was amazing and the accommodations fabulous and comfortable. We will sing your praises to our friends back in OH. We wish you many blessings in the future. Our visit was not a milestone nor special occasion - just fulfilling an impulse to go somewhere. B&Bs are always the best resource for us to have an outstanding few days off. Halcomb's Knob from the online blurb through the creative last breakfast is outstanding. During the thunderstorm the view was tops - spring is in full swing as seen from this hilltop. Thank you for your forethought and meticulous preparation. This was our first experience at a B&B, and it will not be our last. Thank you so much for the delicious chocolate chip pancakes. Your individualized hospitality won our hearts to future B&B stays. Thank you. One of the best experiences at a B&B! Thank you for the cookies, amazing hot breakfasts and warm hospitality. This is a very peaceful place and we can't wait to share our experience. Thank you for taking us in on short notice for our 24th anniversary. You have a beautiful farm and the hospitality was A+. Can't wait to try the cinnamon rolls on our next stay! Thank you for such a wonderful experience. We felt more like house guests rather than customers. The food was amazing and more than we expected. Halcomb's Knob B&B and Farm is a beautifu and peaceful place to stay. We plan to be back in the future. Thank you for making our 18th anniversary such a great memory. Thank you for all your help in making such a memorable weekend for my friend's wedding! We had so much fun and such a great experience here at Halcomb's Knob. Thanks for everything. Once again we had a wonderful experience. The food was exceptional and we appreciate the warm hospitality. We are already looking forward to visit number four! We had such a wonderful wedding weekend here! The food was awesome and the hospitality was excellent. We were able to truly relax and enjoy our special day. This was the perfect place for all our Canadian friends and family to experience the bluegrass state! Thank you. My daughter was married here this weekend and it was everything she wanted. You were very helpful, had suggestions when needed and the food was scrumptious. We look forward to coming back. Thank you. I had a wonderful time this weekend. To spend time on the land that my ancestors owned has been exciting. Your bed and breakfast is beautiful and relaxing The view is breath-taking. Our search for family records at the Lancaster courthouse, library, and historical society helped us open more windows into our family history. Your directions kept us from getting lost. you are a wonderful cook and your desserts are scrumptious. One of the best experiences was walking the knob with your guidance, making the walk a great experience. Walking in the woods is one of my favorite things to do. I'm sure I will be back to do some more research and to stay here again. Thank you for your hospitality and for sharing your knowledge and time. You are a blessing!. We had an AWESOME time stay at the Knob and attending the Field to Fork Festival. Thank you so much for your hospitality. It was great. I love your place. it is wonderful. I am forever grateful for the opportunity to enjoy it. I pray this will be the first of many more. Spectacular honeymoon!! Everything was so beautiful, from the house to the scenery to the innkeepers. Its hard to get that "at home" feeling when traveling, but our stay here felt just as though we were comfortable in our own home. The mornings were delightful to start with a large and delicious homemade breakfast really got us ready for our explorations every day. Damon and I could not have had a better Valentine's Day Getaway. We thoroughly enjoyed the atmosphere of the Knob, the room and fabulous breakfast. Our hostess did all of our requests to ensure we had a great time. Thank you seems so inadequate! We look forward to sharing our experiences with others and our next trip as well. What a beautiful, restful, peaceful time. How we thank you for your hospitality, conversation and fabulous food. You are truly a treasure. May God continue to bless you and keep you in His care. We are thankful for our son and daughter-in law whom gave us this time here. The Knob is very peaceful and restful. Thank you for the guide through the woods and gardens, we so very much enjoyed it. You have been very gracious hostess. Thank you. Hopefully we can get back for the campfires in the autumn. Jim and I enjoyed our stay at the Knob. The weather was perfect as was the hospitality. We got to explore a beautiful part of Kentucky that we've not had the opportunity to experience. Thanks so much for the good food, delightful conversations and great company. God bless. Tarrara and I had a great "girls escape" for my birthday and loved making a new friend in the process. Thank you for the warm interaction, helpful gardening advice and delicious meals and recipes. Will be recommending Halcomb's Knob B&B to anyone traveling this way. Many blessings to you. The girls and I had a wonderful time once again. It was great being back at the Knob for another stay. Our stay at the Knob was wonderful. Very quiet and peaceful. Loved the views from the deck. Thank you for your warm Kentucky hospitality and good eats. The tomato spice cake was yummy. Happy trails to you til we meet again. Our wedding at Halcomb's Knob was absolutely perfect It was such a beautiful location. 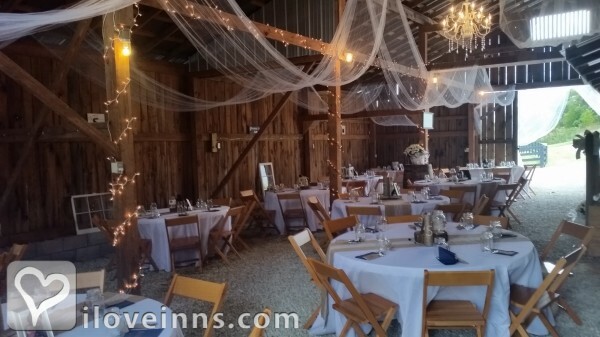 Planning a wedding from out-of-state has been said to be difficult, but from the first telephone call to subsequent visits to the actual day of, Deborah too great care of us to ensure we had the wedding of our dreams. It could nt have been a more wonderful day. Thank you for a restful, relaxing retreat and great food. 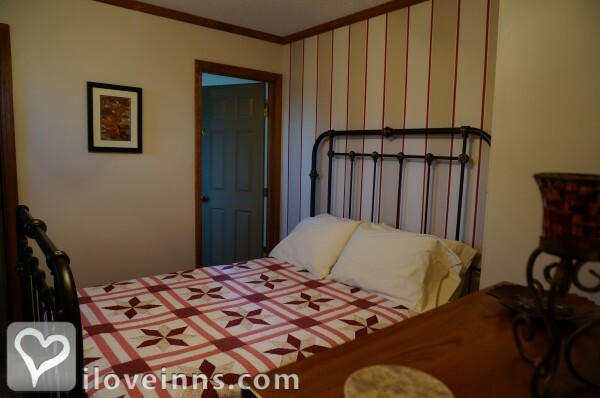 We enjoyed staying at your B&B and your extra touches with ideas of places to visit and eat. Hope to get back this way again. We love our stay at Halcomb's Knob. The breakfast was amazing, the bed super comfy. We enjoy our coffee on the deck and Annie's companionship at our knees The morning run is awesome in this area. We drove to Richmond for a golf day, it was beautiful. You make the stay feel like home. We will come back again next visit from AtLtown. Thank you so much for the wonderful breakfast, (so yummy! ), lovely room, and charming company. We so enjoyed our late chats and desserts. You really are a great hostess. You made our stay perfect. Thank you for providing us with a peaceful and relaxing get-away. We couldn't have asked for a more wonderful place to celebrate our 3-year anniversary. it was an honor to be guest at Halcomb's Knob and we are looking forward to our next visit. Thank you for the delicious breakfasts and evening desserts AND the fellowship. So quiet and peaceful. God bless you. Best Christmas EVER! Beautiful, relaxing, perfection. Thank you ever so much for your hospitality, advice and DELICIOUS FOOD.We loved every second of our stay here. I am positive we will be back soon perhaps in friendlier weather - lol. Thanks again for making everything so perfect. We came back! Enjoyed the food, the friendship, quiet time and even when the lights went out. Everything as usual was great. Seems as if we are home but not at home. You take great care of your guests and we appreciate that. Thank you for making us feel like a part of the family. Thanks so much for a wonderful and relaxing stay. Enjoyed the riding and hiking - you really hooked us up! Good food also. Hope to have a return visit. PS. Annie is the best dog ever! Thanks for making George's birthday a pleasant time. We enjoyed our stay very much. The food was amazing. You surpassed our expectations in every way. What a wonderful relaxing week - yes even in the summer heat. We felt pampered and well fed! You are an excellent hostess. Thank you. See you again soon. A relaxing day on the farm was just what Debbie & I needed. It was so peaceful and you are such a great hostess. We really enjoyed our breakfast and our conversations. Thanks again. Wonderful little place in the country. Short trip but enjoyed the stay. Fantastic grapefruit. Beautiful grounds and view. Delicious food - both the wonderful breakfasts AND the invitation to a local community fish fry! Enjoyed your company but also that of Annie's and Kyte's too. Looking forward to seeing you again. Jerry and I had such a great time visiting the area around Berea. Your suggestions of places to visit were so helpful. We especially enjoyed Tater Knob Potter and our "mini" seminar that we received from Sarah while browsing her shop. Best of all was enjoy your gracious hospitality and company - and fabulous cooking. The Mexican style pancake was our favorite breakfast and chocolate brownie was our favorite dessert. Everything else was a close second. Its so restful here - can't wait to return. My husband and I had a wonderful time staying inn your beautiful B&B these past few days. We really needed a break in our very busy, stressful lives and your warmth, great food and company gave us that. We could easily stay several more days. Thank you for taking care of us. We are truly relaxed. Your Bed and Breakfast is a delight. I am rested and relaxed. Thank you for allowing me to join you and your family (Annie and Kyte) for these past few days. We'd read the reviews online. And we must say its true what other guests have said, Halcomb's Knob is someplace you want to visit! If we get to come back on another anniversary, we will! You are such a great person, with a quest for hospitality that is unmatched. Everything from our nice room, to the great breakfast and conversations. Seems like we've known you for a long time. Thank you so much. My husband and I had a wonderful first anniversary at Halcomb's Knob B&B. it was quiet and peaceful, just what we needed with a baby at home. The handmade chocolate heart, flowers and excellent breakfast made our day extra special. We hope someday to return. Thank you so much. We enjoyed our stay, the food was wonderful, and your hospitality was great! We love this area and always like coming here in the fall.You have a beautiful place with views unmatched. What a great place. Thank you so much for the wonderful hospitality. For anyone reading this, and planning a future stay at Halcomb's Knob, request the brownies - WOW! What a wonderful place you've made of Halcomb's Knob! What started as an overnight stay turned into a wonderful 3-night stay of much needed rest. Over our 3 week vacation, this was by far, the best sleep and the most comfortable bed! You are such a gracious hostess and an impeccable cook...it will be hard to go back to "ordinary" food after eating such wonderful, organic, wholesome foods! George will be raving about it for weeks. Being that our first stat at Halcomb's Knob was such a spontaneous decision, I can absolutely guarantee that our next visit will definitely be intentional! Hopefully next time will be a bit warmer, so Kyte and Annie can show us around the farm! Take are, and we'll see you soon! God Bless. Our family of four kids, my wife and I had a very nice and relaxing time here. The kids were fascinated with the concept of "living" in someone's house and having breakfast prepared each morning - they loved it. Thank you for the wonderful hospitality and information. We very much appreciated the cleanliness and delicious food. Hope to be back soon. Thank you, Thank you, Thank you!!! What an amazing relaxing fun-filled first time stay not only at Halcomb's Knob but also at a Bed and Breakfast! thank you so much for being so warm and welcoming to me and my girls. The tie spent conversing with you will forever remain in our hearts, and we look forward to any more experiences here with you as we continue to return to Berea over the next four years. God bless you. Thank you for letting us spend our wedding day here. Its peace and quiet permits even the most nervous bride with the calm to enjoy her wedding day celebrations. Thank you for letting us start our new lives together at Halcomb's Knob. This was our first B&B experience and it was perfect! Just the weekend away we needed. Thank you for the hospitality and recipes, I can't wait to try. We hope to come back for our anniversary and do some hiking. Also hope we can share our experience with others and share with them the wonderful "gifts" we have received at Halcmb's Knob. We shared a mother-daughter weekend at Halcomb's Knob and it was everything we needed and more! 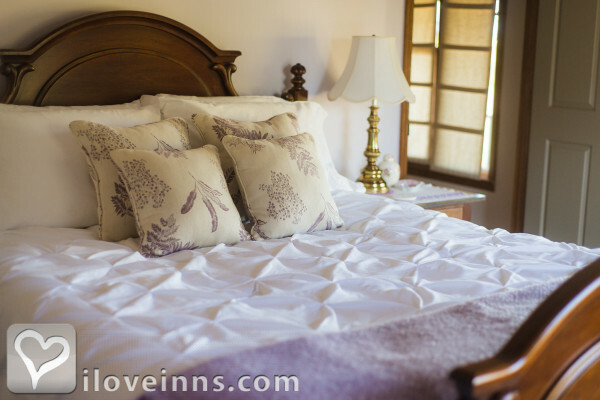 The intimacy of the B&B setting and the magnificent views fro our room will definitely bring us back for more. Thank you so much for sharing your little slice of heaven with us. I will hopefully be back for the endurance weekend which sounds amazing. Keep up the great work! Lovely place - super property! Will come back to explore more soon. Thanks for being such a good steward of the land and property it from the ignorant. Wonderful location and only 6 miles to town! So quiet and peaceful, a wonderful breath of country air. The food has been lovely, our hostess great and our visit with family super. We very much enjoyed our overnight visit to your farm and B&B. Thanks for your warm hospitality, letting us walk freely on the property and playing some music in the screened porch. And we ate the breakfast to die for! Just wonderful to hear quiet! Birds and crickets. Lovely conversation, learning about life on the Knob. Makes my heart glad to hear about the Field to Fork Festival - keep going strong! Will come back give the opportunity! We had an AWESOME time staying at the Knob and attending the Field to Fork Festival! Thank you so much for your hospitality. It was great. I love your place. It is wonderful. I am forever grateful for the opportunity to enjoy it. I pray this will be the first of many more. What a wonderful destination spot. The trip by bike from Oregon was worth every moment! I have had a wonderful time this weekend. To spend time on land that my ancestors owned has been exciting. your bed and breakfast is beautiful and relaxing. The view is breath-taking. Our search for family at the Lancaster Courthouse, library, and historical society helped us open more windows into our family history. your directions kept us from getting lost. LOL. you are a very good cook and your desserts are scrumptious! One of the best experiences was walking the Knob with our amazing guide, Ron.He was funny and he made our walk a great experience. Walking in the woods is one my favorite things to do. I'm sure I will be back to do some more research and to stay herea gain. Thank you for your hospitality and for sharing your knowledge and time. You are a blessing. As a little girl I remember my mom talking about Halcomb's Knob and that her family lived there and her grandfather was buried there. I love to do genealogy research and was very surprised when I did a Google search and found Halcomb's Knob B&B. In our search at the county courthouse, we did find that this land did indeed belong to our Halcomb ancestry. Deborah and Ron you have made our visit so exciting and we have had so much fun. You got involved with our search and did everything you could to help. The meals were fabulous, especially the cinnamon rolls and thanks for the recipe. Your home is beautiful and very comfortable. Ron, you're a jewel to take us girls on a hike up to the Knob. I laughed so hard its a wonder I made it to the top. Thanks to Annie for getting us back down to the house. Thanks for making this an unforgettable journey. i will always remember my visit to Halcomb's Knob and hope to come back in the future. Its been good to see you again! Thanks for taking us in on such short notice. We appreciate the divine order of your bed and breakfast, the cleanliness, the refresh-fulness, and your food, as always is delicious - so tasty, AND nutritious. We pray God will bless your ministry abundantly. That because of your leadership in people - knowing more about the natural, the organic and self-sustainability, many, many people's lives will be better, more enriched! Thank you for the wonderful visit! We passed through Halcomb's Knob while visiting the Lexington area. It was great to see the countryside off the highway. The crackling fire, comfortable room, and delicious breakfast were a nice respite from our travels. We hope to be back in the future. We had an amazing stay over the Christmas holiday, here at Halcomb's Knob. Everything about the place is beautiful, from the home to the view from the windows. The hospitality, Deborah showed us made us feel right at home, and she made sure that our stay was as pleasant as could be. Thank you for making our experience as wonderful as it was. My girlfriend and I spent Christmas night here while in town visiting her parents in Lancaster. While we were only here a short time, we were immediately taken by the beautiful property and the abundance of stars in the sky. Breakfast was delicious. We are already planning a return visit when its a little warmer, so we can explore the scenic 30+ acres. Thank you for a beautiful relaxing visit! The room was cozy and restful and the food delicious. I enjoyed getting to visit with you. Best wishes for great success! What a delightful experience we had here! Everything is so beautiful. I enjoyed my walk through the woods - down to the barn and around the pond. What a joy to look up at night and actually see the stars in all their beauty. Now, I have a new "best friend" in Annie. She went with me everywhere I went. She loves to be loved. I especially noted the total quietness of the evenings. Thank you so much for a wonderful experience. Halcomb's Knob is like a piece of heaven on earth. All the beauty, comfort and hospitality that we experienced here are unequaled. Your winsome ways and Kentucky fare are the icing on your awesome cake. We look forward to our next respite at Halcomb's Knob. My husband and I needed a place to stay near relatives for Christmas 2012. Halcomb's Knob was the perfect place! It not only provided what we needed, it provided an experience. Clean, comfortable, wonderful hostess, and beyond delicious breakfasts. Although the weather wasn't the best, we were able to get out and take a walk on the property which we enjoyed very much. We loved it and plan to return as often as we can when visiting the area. This is a nice and peaceful place to stay. The hostess was pleasant and very knowledgable about the area. The food was abundant and delicious. We are looking forward to staying again in the summer. This was one of the best experiences we have ever enjoyed at a B&B. Deborah and Jim were wonderful hosts and so accommodating. Thank you for two restful and relaxing days that were much needed. The peace at Halcomb's Knob was so refreshing to our spirits and has helped us prepare for the next leg of a very long journey of driving and speaking. God bless you!